It was fiddly to use, had a terrible screen and poor build quality - but the Siemens SL55 is certainly one of the cutest phones ever made. Launched in 2003, the SL55 was probably the tiniest phone on the market, measuring just 82 x 45 x 22 mm and weighing 79 grams. But it wasn't just the small size of the SL55 that turned heads - the elegant combination of curves and styling details meant that this phone has a huge amount of "wow factor".. and the SL55 was making inroads into this marketplace a full year before Motorola's RAZR. The 101 x 80 pixel 4096 colour CSTN display was a bit basic even in 2003. The SL55 had GPRS, a WAP browser, polyphonic ringtones, but it didn't have Bluetooth or a camera.. and certainly nothing fancy like an MP3 player. Of course, it could make phone calls and send text messages too, and really that's all the SL55 was designed to be.. a compact, attractive phone for people who really just need basic functionality. 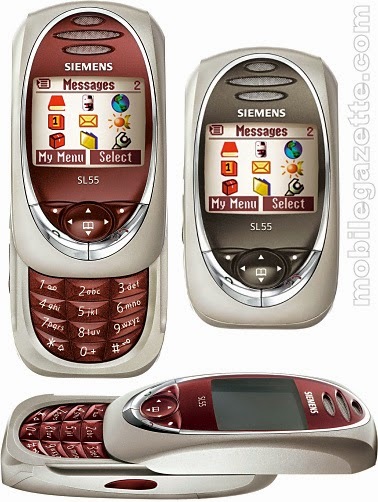 The SL55 was quite a successful phone, but Siemens could never really come up with a suitable successor. The SL65 and SL75 were better specified but lacked the charm of the original SL55, and eventually the whole Siemens Mobile business folded. For a time, Siemens showed great promise with a number of highly innovative designs, but they never could reliably sort out their quality control issues. Ultimately the SL55 stands as a reminder of what might have been, and it still calls out for a modern remake.